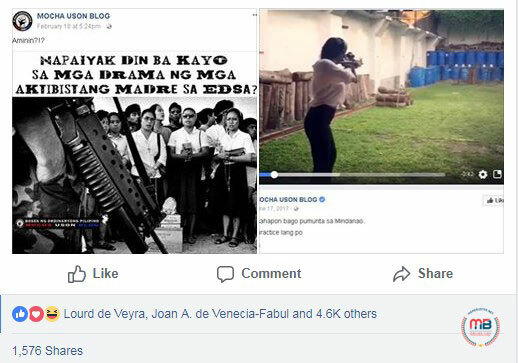 Veteran journalist Ed Lingao addressed his Facebook post on February 23 to Communications Assistant Secretary Mocha Uson after she shared a photo asking whether people cried over the “theatrics” of activist nuns during the People Power Revolution in Edsa. 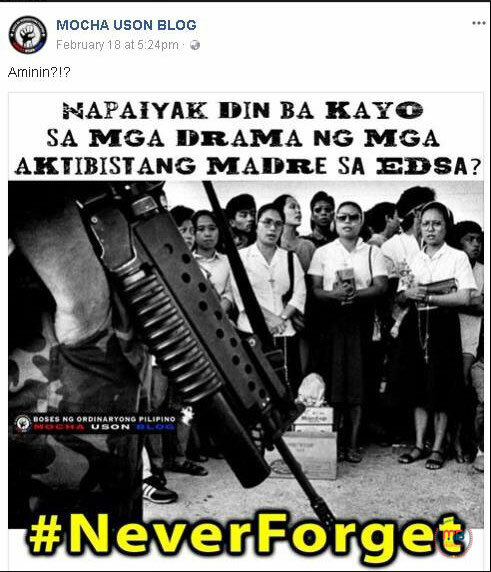 This was Lingao’s reaction to Uson’s post of a photo showing nuns bearing rosaries in front of soldiers with guns and a question that read, “Napaiyak din ba kayo sa mga drama ng mga aktibistang madre sa Edsa?” It even came with a hashtag #NeverForget. 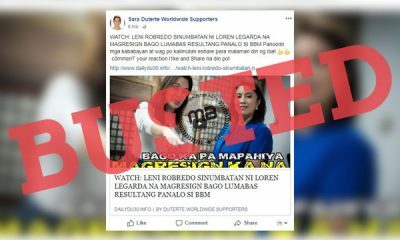 In his Facebook post, Lingao said he understood why Uson would not understand the feeling of blocking soldiers and 37-ton Amtraks to stop them from reaching Camp Aguinaldo to block a military mutiny because she was not there. 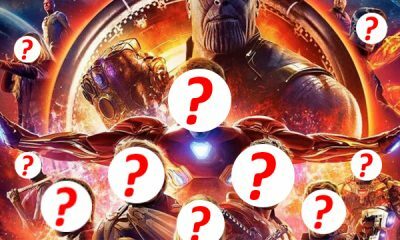 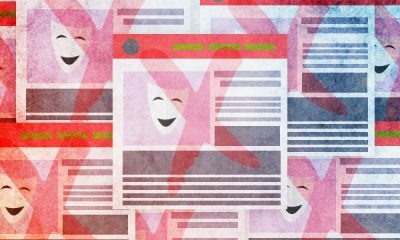 “What I cannot understand is where you got the nerve to imply that this was all theatrics,” he wrote. 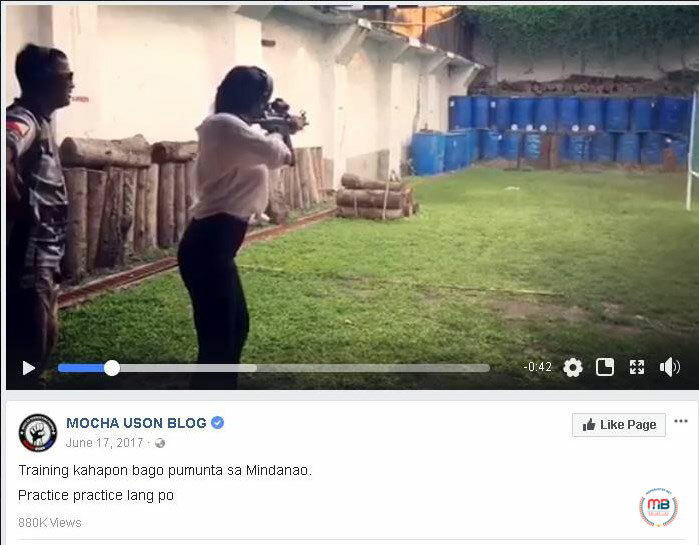 He then noted how Uson herself seemed to have shown her own “samples of theatrics” by uploading a photo of her surrounded by law books and another photo showing her using a rifle. 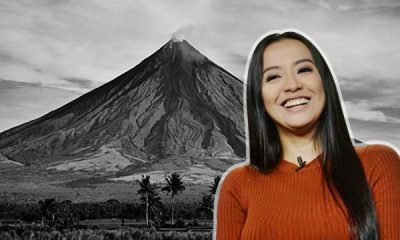 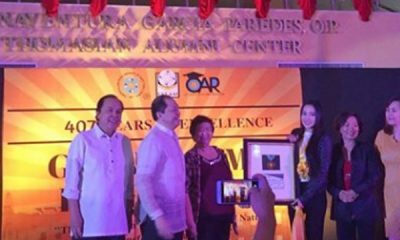 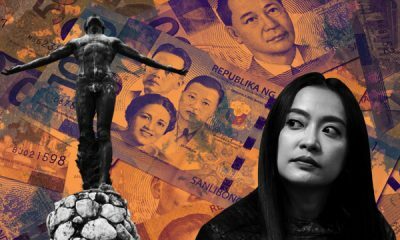 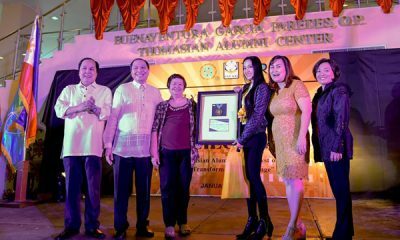 “If you want samples of theatrics, there are more appropriate samples out there, like the one on a lady assistant secretary’s blog where she shows herself plinking targets with a rifle, with the caption that says “training kahapon bago pumunta sa Mindanao.” Or one where she is reading law books,” Lingao wrote. 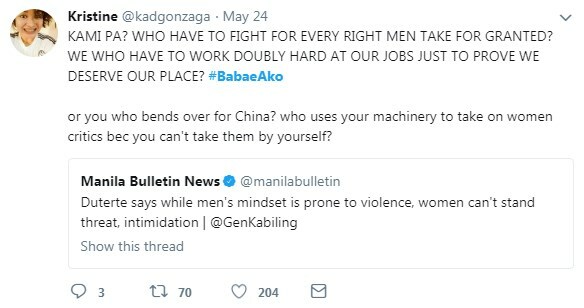 Lingao then reminded Uson of her position and how she should not abuse it but use it as a means to show people how to act on social media instead of acting like the average online troll. 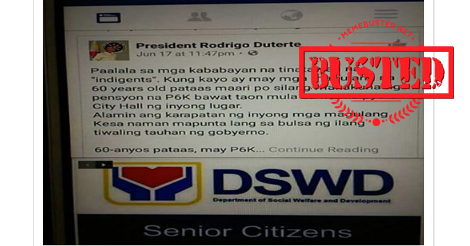 “You are an assistant secretary for social media. 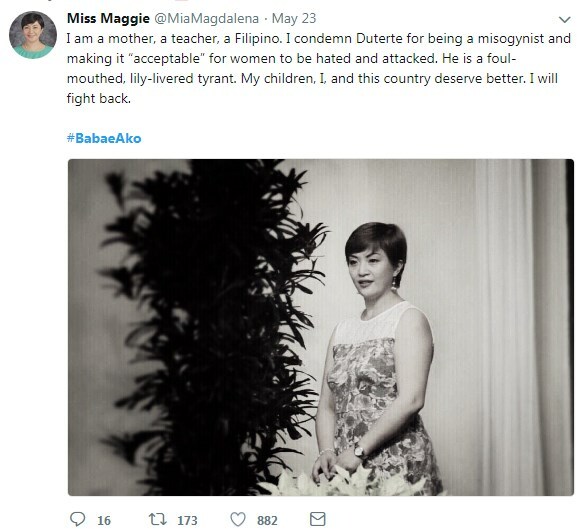 The title given you means that you are to be the best example of social media use; it is not a license to abuse your influence over social media. 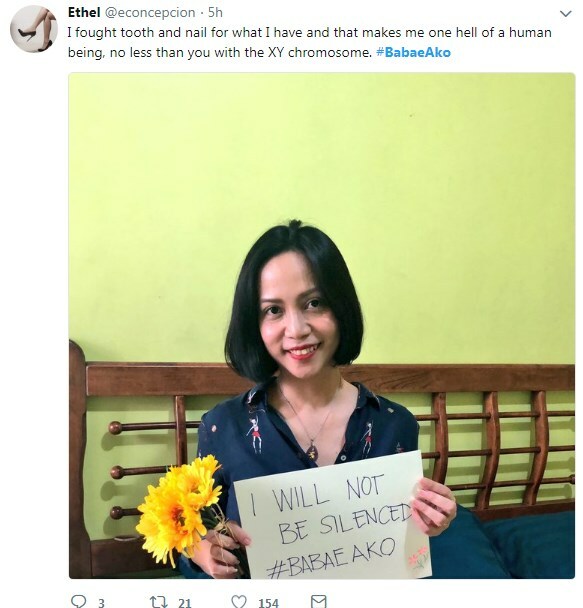 You are supposed to show the way, not act like a common troll,” he added. 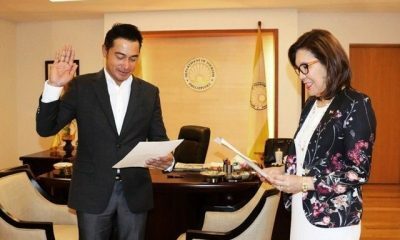 He called the attention of Uson’s boss, Communications Secretary Martin Andanar, to advise Uson to read Republic Act No. 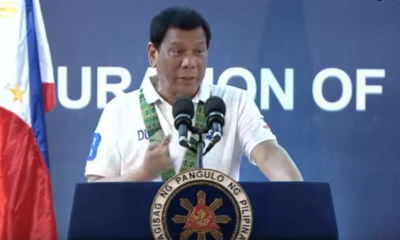 6713, which is the country’s code of conduct for government officials and employees. 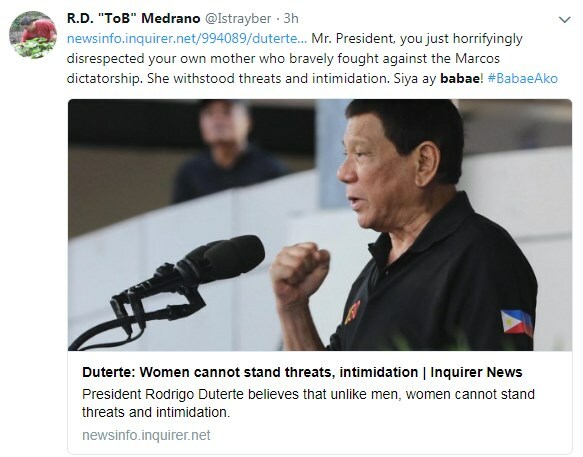 The veteran journalist also noted how President Rodrigo Duterte’s mom herself, Soledad “Soling” Roa Duterte, led an anti-dictatorship movement against the late dictator Ferdinand Marcos called the Yellow Friday Movement. 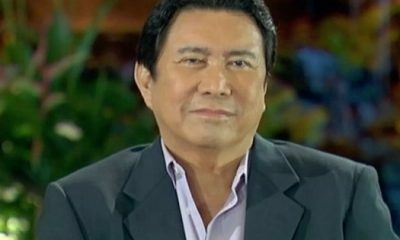 The movement was founded in Mindanao to oppose Marcos in the 1970s and 1980s. 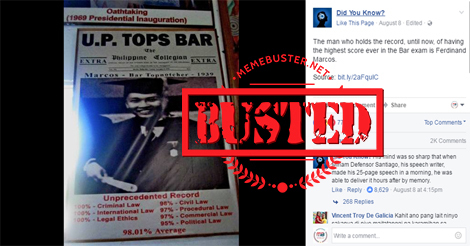 As of writing, Lingao’s post has been shared over 1,500 times. 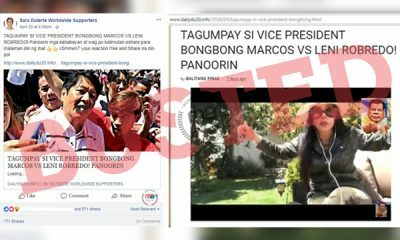 These are the screenshots of Uson’s Facebook posts that Lingao pointed out in his post. 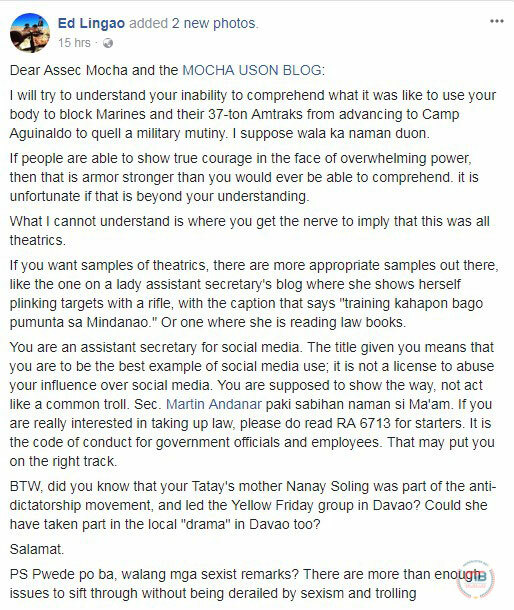 And this was what Lingao was referring to when he said that an Asec. 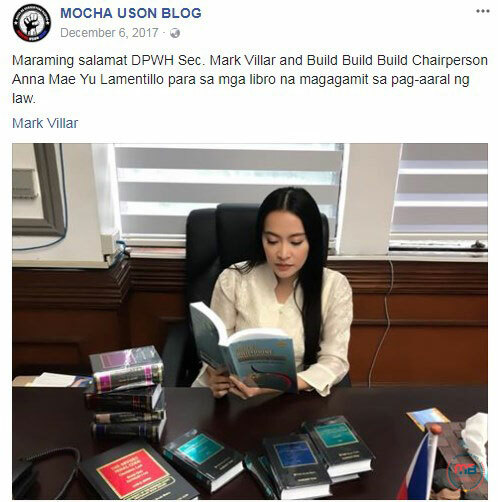 was reading law books. 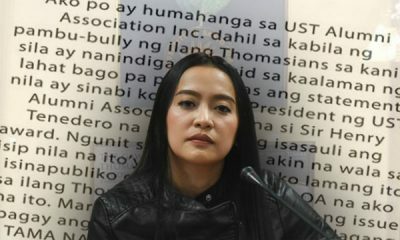 Some netizens hailed Lingao’s “burn” comments against Uson. 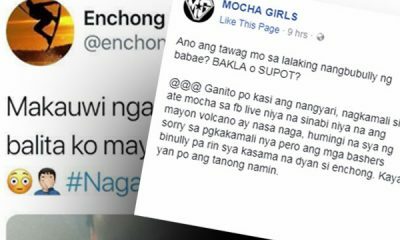 O ano @MochaUson ? 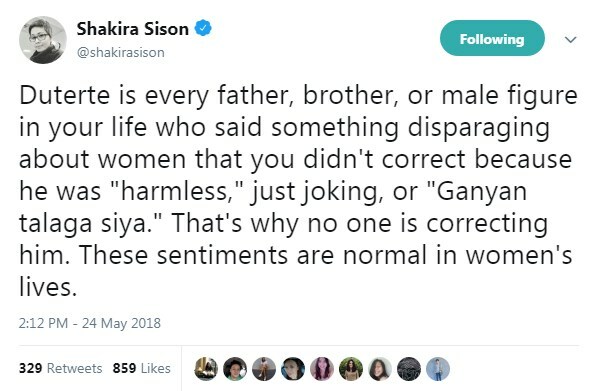 Umaalingao-ngaw pa ba hanggang ngayon sa tenga mo ang sabi sa yo ni Ed Lingao? 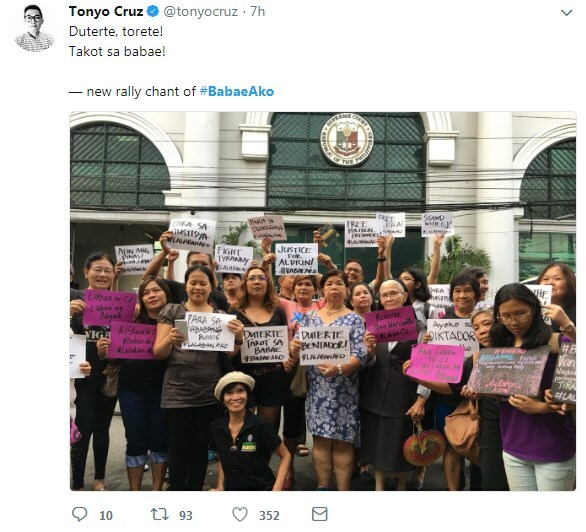 Kung mambabastos ka lang sa mga taongbayan na sumali sa EDSA REVOLUTION nung panahon ni Marcos, pwede bang magbitiw ka na lang sa pagiging public official mo? 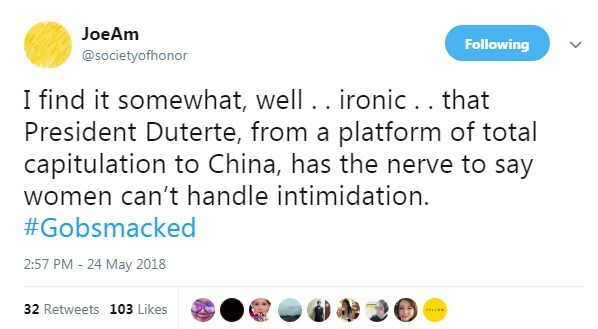 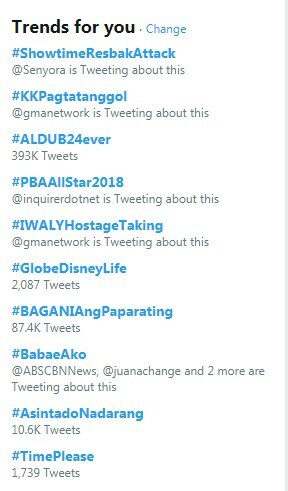 Wala kang kwentang tao. 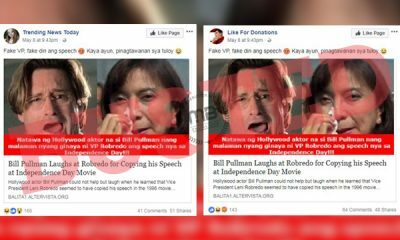 Last year, Lingao also slammed Uson for sharing Erwin Tulfo’s rants against him and even urging him to listen to Tulfo. 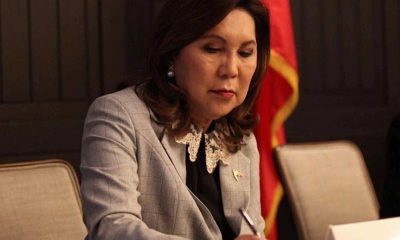 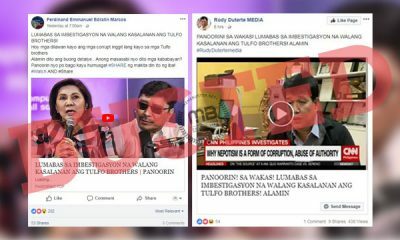 He urged Uson to do her own fact-checking of Tulfo’s claims in the video and reminded her that she is a government official, who must be “responsible” in not sharing fake news or defending those who spread it. 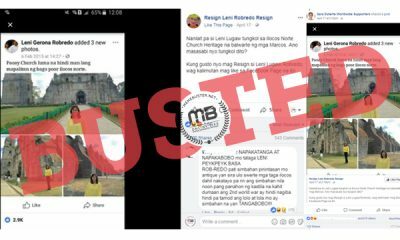 Lingao also hit Tulfo for cussing Senator Risa Hontiveros over a misleading meme and his brother, Ben Tulfo, for joining in the discussion with false assumptions.